Methods understands that training is essential and can help maintain uptime and reduce the cost of machine tool investment. Education is key to staying competitive. 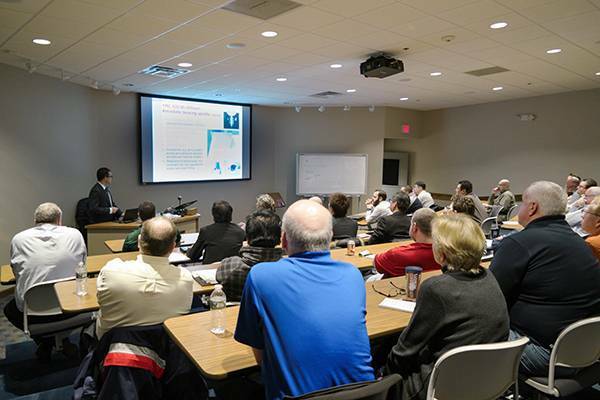 Methods offers a full range of formal training classes at their facilities. Training includes machine servicing, hands-on operation and software programming. They provide low-cost training in every phase of the operation and maintenance for every machine they represent. Intensive training seminars for programmers are conducted by instructors who have “done it themselves.” Continual training sessions, seminars and phone support are always available for as long as the customers own the machine. Aside from thorough classroom instruction, students are able to work hands-on with the machines. They are also given take-home materials for reference as they work with the new machine back in their shop. For large groups, custom instruction can be tailored for an organization’s specific needs. Their training classes provide critical knowledge and skills to develop highly competent technical experts. Classes are available at all of Methods’ regional offices and are conducted on a weekly basis.